Tony Roni’s pizza box needed to be updated to translate their amusing vibe into an on-brand piece that showed they are much more than just a pizza shop. Elysium Marketing Group showcased Tony Roni's vast offerings and related graphics to create packaging that spoke to the restaurant’s personality. 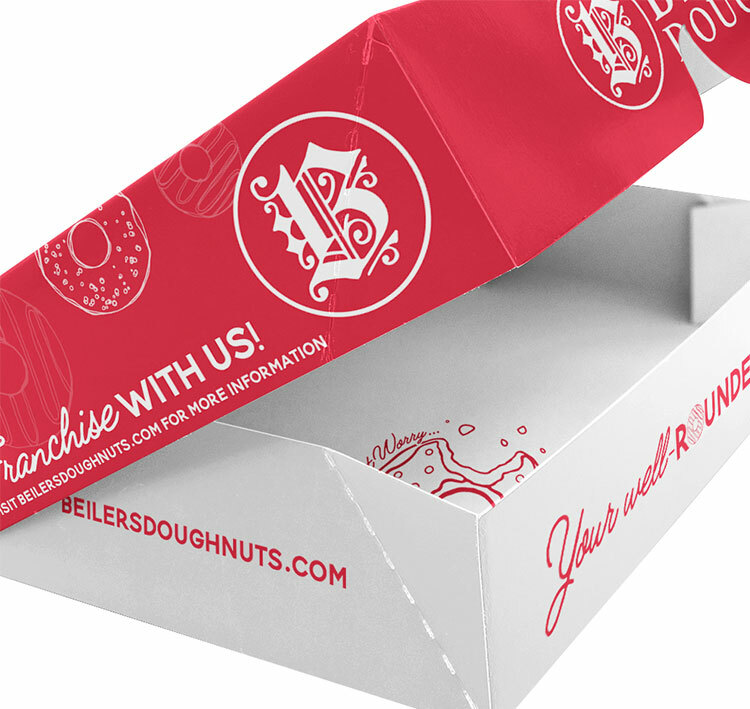 Beiler’s doughnut boxes were in need of an update after a semi-rebrand to match the branding and translate the subject manner. Elysium Marketing Group incorporated the changes from the new brand guidelines they created for Beiler’s and modernized the box to match the tone of the brand. They kept the box red to capture the nostalgia of people who’ve seen Beiler’s donut packaging throughout the years as a signal of delicious donuts inside.